When it comes to extended family, there is always a celebration happening. It could be an anniversary, milestone event or a birthday. In our house, to celebrate, we usually get together and have a dinner. This year, for my sisters 30th birthday, I decided that we should do something different to celebrate. After all, it was a milestone birthday. 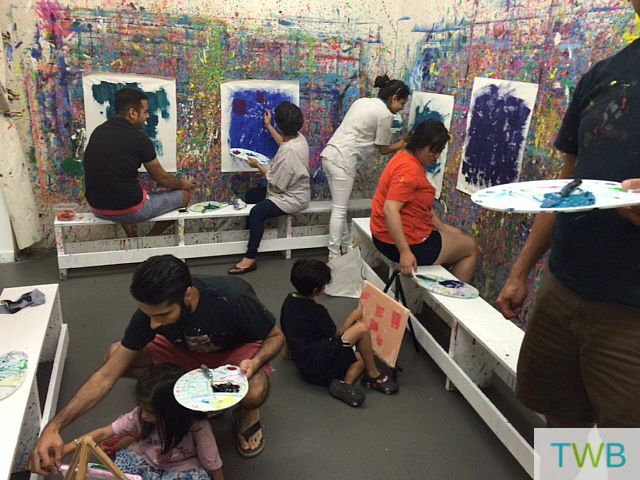 After exploring some options, I thought that a painting party at 4 Cats Shaughnessy would be perfect. We chose to paint Here Comes the Sun. With seven adults and my two kids to boot, it would definitely be a fun and interesting experience. Our fearless guide and teacher, Messy Marnie, promised that everyone would be able to produce a lovely painting and she was right. 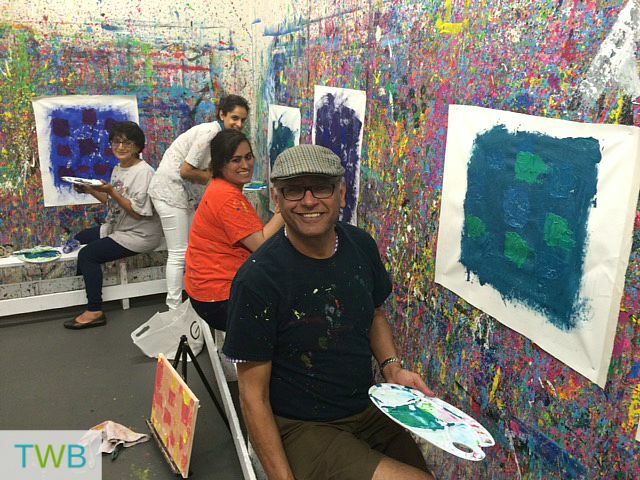 On the day of the party, once everyone arrived, mostly dress for mess, we got our canvases and headed to the splatter room. 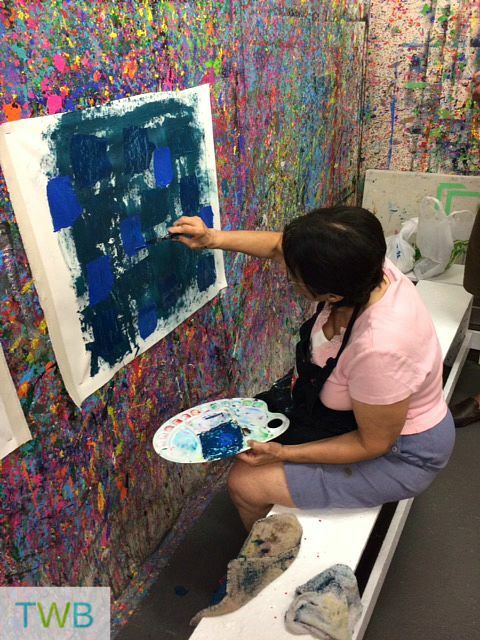 Marie led us step by step through each part of the painting, from the brushing, to the squares and the drips. She was such a great teacher that even my 6 and 4 year olds were able to sit through the whole class and each finished a painting of their own that they were very proud of. 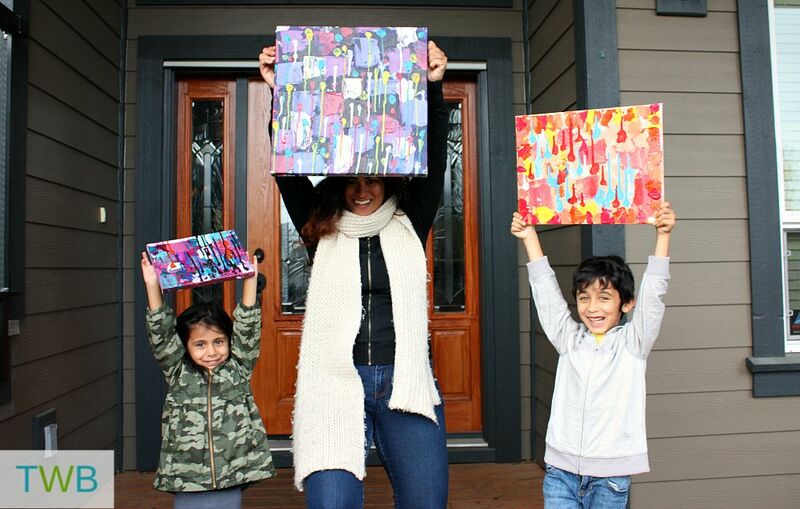 For the kids, I had actually brought along a couple of canvases that I had bought from the dollar store (along with some activities) because I didn’t actually think they would be interested in an adult painting and sit through the whole thing, so they definitely surprised me! Everyone had a lot of fun, especially the birthday girl. We took the extra time that is usually used for snacks and cake cutting to paint instead. 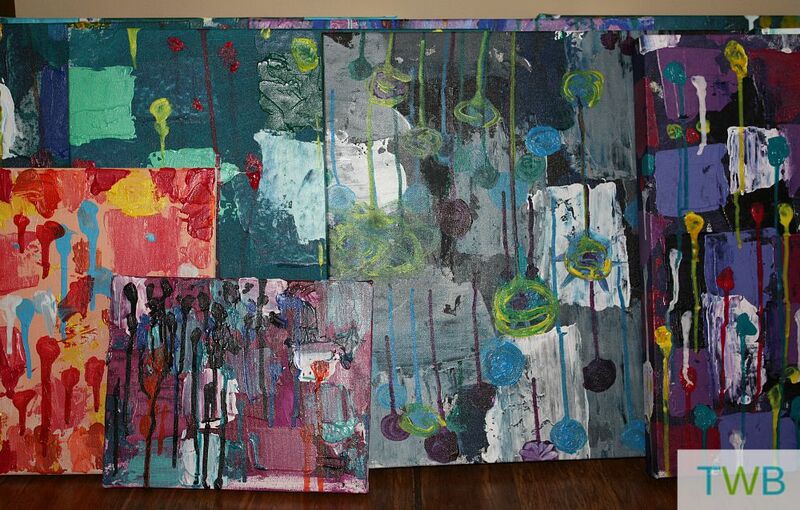 Once we were finished, we left our masterpieces at the studio so they could dry and be stretched on a canvas. A few days later, I went to pick them up. Even though I do say so myself, they all looked so great! Each one was a unique painting that had a little bit of each person’s individuality in it, yet they were all connected. Now we have to figure out the perfect place to hang them! 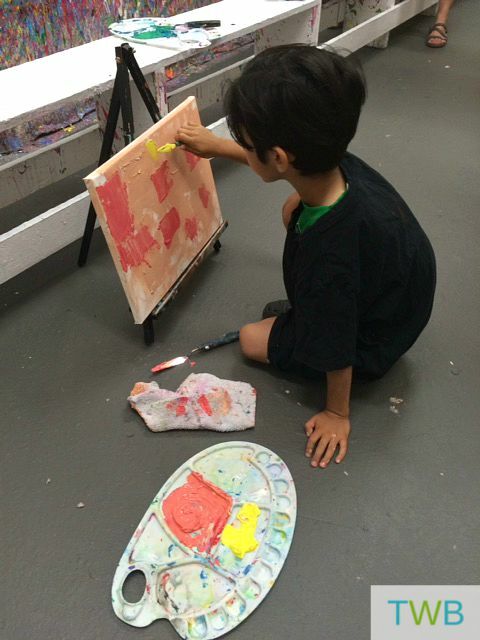 We can’t wait to go back to 4 Cats Shaughnessy to get creative again. Just remember to dress for mess! What’s the best grown up birthday party you’ve attended or organized? What an imaginative way to celebrate a birthday. The whole family paints a picture. Your friends must be very versatile to fit in with your plans. That sounds like fun. I’ve never been to a crafts oriented birthday party. What I would like to do one day is mosaics, if I can get over my concern of handling broken glass. Mosaics sounds like it would be interesting, I’ve never tried it before.